There are many reasons why family is great, especially sisters, and I’m constantly reminded of this fact around the holidays. My all-time favorite reason to love ’em is that sometimes you’ll get a mid-September call asking if you have some random piece of kitchenware. 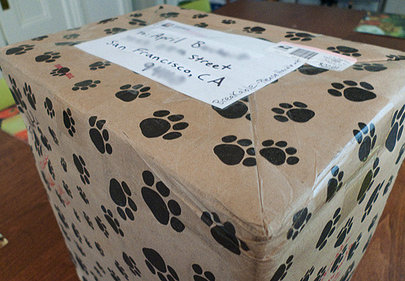 If you say no, chances are a package will arrive holding an early Christmas gift, many months in advance. My sister C* (the one who instilled in me my bargain-seeking, ruthless-cheapskate desire to get the best deal possible and to take delight in the hunt) struck gold and wanted to send this perfect gift to me as quick as possible. Say hello to the newest Hipster Home addition, Mildred the Pasta Machine! I’m no stranger to homemade pasta. It happened once before, like a violent explosion of flour and egg. 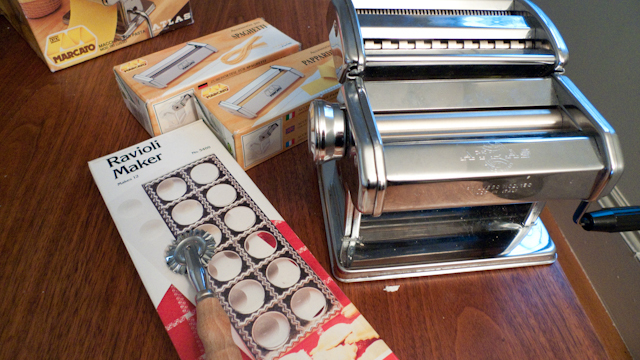 A newly unearthed blog, The Amateur Gourmet, was making pasta and he said that a pasta machine is your best bet unless you’re an Italian grandmother. Did you just hear him question my abilities? 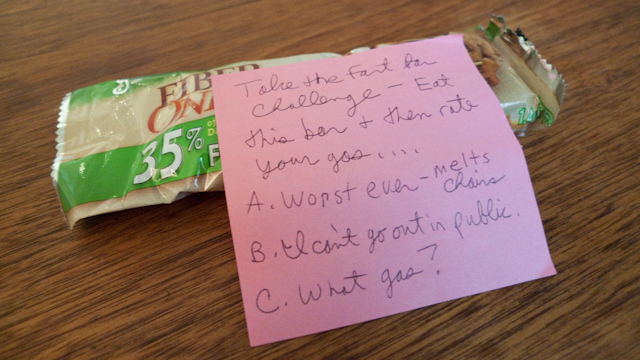 That is a CHALLENGE. As a half Italian lady nowhere near grandma status, I decided, irrationally, that there was something to prove here. 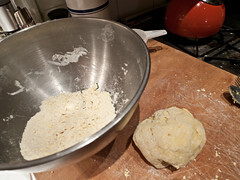 I huffed and puffed and rolled that stubborn dough out. The sweat, grunting, bruises and broken rolling pin were worth it. Fresh pasta, afternoon delight! 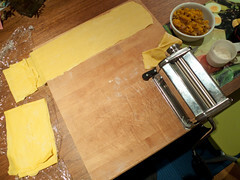 I knew that if I could roll out pasta by hand ONCE, that I’d be free to use a machine the rest of my life. Cue new machine. Mildred and I got working the other night, just to experiment. I’m including no recipes because frankly, I don’t think Mildred and I are on those kind of terms yet. 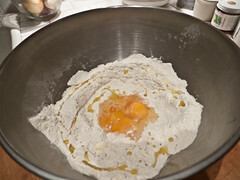 I will say that pasta dough for ravioli was made combining eggs, flour, salt and olive oil. It then rested inside some cuddly plastic wrap while I worked on the filling. After it was seasoned to satisfaction, time to wrangle up some thin sheets of pasta dough! This was also improvised as I had a hard time finding any suggestions as to how thick ravioli pasta should be rolled out too. 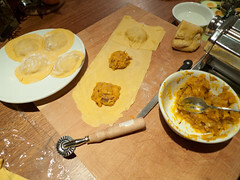 I was also going to use the ravioli mold but decided to make them irregularly by hand. OH MONSTROUS RAVIOLI! 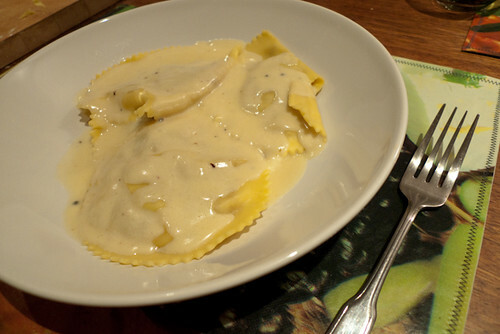 Hmm, the next question was what should go on the ravioli? The Hipster Home’s own Mr. set out to make another bowl-lickable sauce, that of cream, nutmeg, parmesan reggiano and butter. White Sauce Ahoy! Delicious, hearty, stick to your ribs autumnal meal- Ding! Lessons learned: the thinnest setting of my pasta machine is TOO THIN FOR ANYTHING. I also tried my hand at some other cut pasta and it was way way too delicate. Also: don’t overfill your ravioli! It messes with the proportion of pasta/filling/sauce. Finally a note-to-self: this was easy, tasty and low-mess. Make it more often, dummy! Have you made pasta before? Got any pointers or great pasta recipess? DO SHARE!!!! 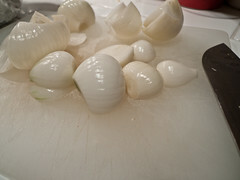 Posted in Food and tagged family, italian, onions, pasta, pine nuts, recipe, sister, the amateur gourmet, winter squash. This looks very fun and I’m glad to hear it was easy. 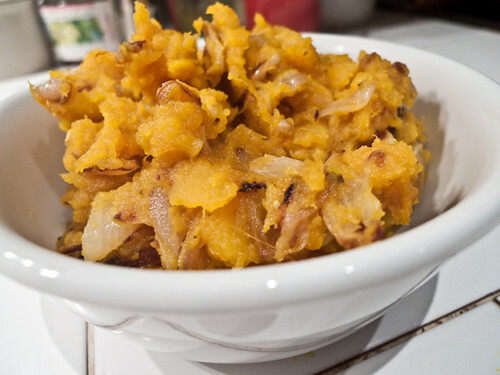 I will say I have only ever tried making pumpkin gnocchi and it was a real production. A kitchen full of sticky flour and all that came of it were the gummiest gnocchi ever. This sounds way better. 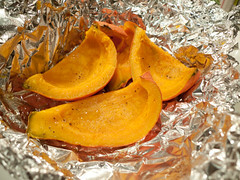 I bet pumpkin fettuccine would be great! I am just blown away that you’re already getting Christmas presents. I purchased one for my mom but she won’t be getting it until Christmas. Your homemade pasta looks amaaaaaaaaaazing. I’m so impressed by your mad skills. And your sister’s note is hysterical. Love it!